Reconstructive facial surgery after a car crash so alters Manhattan model Charlotte that, within the fashion world, where one's look is oneself, she is unrecognizable. Seeking a new image, Charlotte engages in an Internet experiment that may both save and damn her. As her story eerily converges with that of a plain, unhappy teenager - another Charlotte - it raises tantalizing questions about identity and reality in contemporary Western culture. 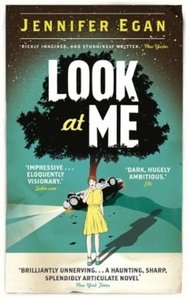 Jennifer Egan's bold, innovative novel, demonstrating her virtuosity at weaving a spellbinding, ambitious tale with language that dazzles, captures the spirit of our times and offers an unsettling glimpse of the future.